Ayrton Senna: Honda NSX 21st Anniversary | Marbella Marbella – Adelante! The King of Spain´s son Felipe Prince of Asturias is a proud owner. Other famous names who took delivery of the NSX (New Sports Car X-perimental) were Star Wars creator George Lucas, Bill Gates, Tom Cruise, Michael Douglas and Gordon Murray the designer of MClarens famous million pound F1 road car on which Murray himself declared he used the NSX as his benchmark. The new generation of Formula 1 fans growing up watching the sports most exciting young world champions like Britain’s Lewis Hamilton and most recently Germany´s new double world champion Sebastian Vettel will no doubt have heard the name of the late great motor racing legend Ayrton Senna but unlike those privileged names on the prestigious list of owners listed above, few people will realise the lasting legacy Senna and Honda left behind for the rest of the world to enjoy in the shape of the road going supercar the Honda NSX. Brazilian Senna was killed in a tragic F1 motor racing accident in 1994 in Imola, Italy but not before reaching legendary status in Formula 1 and being carried by his trusted Honda powered MClaren to three hard fought world championship wins. 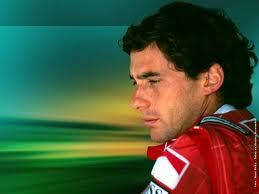 The youngest ever triple world F1 champion is a record Senna still owns posthumously today. Although Senna was stolen from the sport early in life, an event marked by three days of national mourning in his native Brazil, its a much lesser known fact that he left behind for his fans the same racing spirit embodied in the road going Honda NSX supercar that was first unveiled to the world at the 1989 Chicago Auto Show. After eight years of unprecedented and tireless research and development during which time Honda constructed an entire purpose built factory in Tochigi, Japan resembling a hospital intensive care unit more than a car assembly plant, the Honda NSX went on sale in 1990 in Japan and 1991 in North America and Hong Kong. The traditional supercar monopoly held by European manufacturers Ferrari, Lamborghini and Porsche was shattered, at least for the several years it took for them to get up from the canvass and respond with newer more advanced better handling models. After taking part in testing and development of the seventy thousand Pounds fly by wire all aluminium F1 inspired NSX (a price tag at the time which would have bought you the equivalent Ferrari) Senna himself ran his own personal NSX not only in his native Brazil but reportedly kept others near many of the world´s major Formula 1 circuits. Some rumours say he had as many as fourteen. 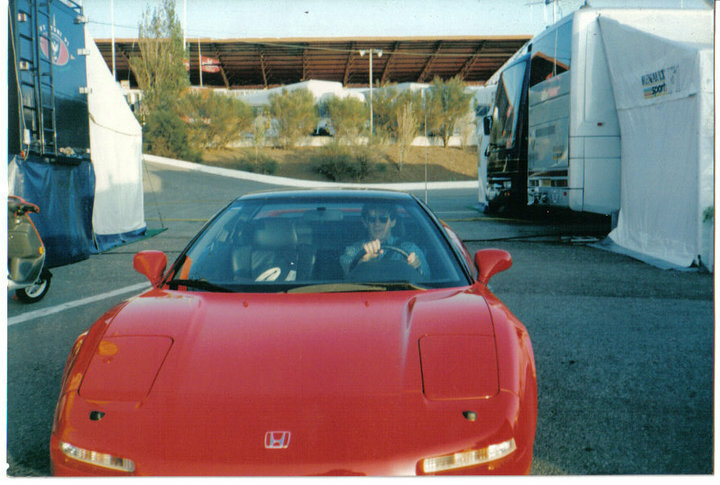 Reproduced here is a very rare black and white photo of Senna´s NSX parked at the Portuguese Formula 1 track at , as well as Senna at the wheel of his other Formula Red coloured NSX arriving at the French Grand Prix. It was widely reported that Senna himself was also caught by a police speed trap in England in the early ´90s doing over 150mph in another NSX and fined for speeding. In 2005 to a backdrop of tightening EU fuel emission regulations and slowing sales in the supercar market the NSX was retired from production by Honda in virtually the same form as it had started life fifteen years earlier, testament to its original design and build quality. The car and its powerful V6 280 bhp V-tec engine had not had one single engine failure or technical recall. MClaren F1 designer Gordon Murray ran his NSX for seven years and in that time approached Honda to provide an engine for the car makers iconic F1 model. Honda refused the approach and in the face of a global financial crisis later pulled out of Formula 1 racing altogether. The NSX was never replaced by Honda but, like Senna, was consigned to history as a landmark in motoring. 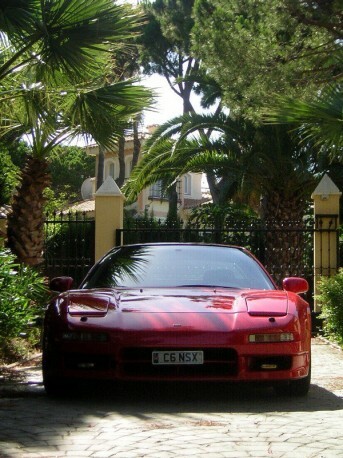 Although only a handful now exist in Spain one or two NSX can still be seen travelling the N340 highway and around the back streets of Marbella on sunny days. Prince Felipe´s personal car, now itself 21 years old, has recently gone on display in a prestige car showroom in Málaga city center sporting a price tag of over 40,000 euros. Approaching classic status this is surely bound to climb with the demand for iconic marques. The memories of the late great Ayrton Senna at the wheel of his NSX still live on for those few lucky owners and of course still remains priceless. Optioned screenwriter, film producer and film script consultant. Latest feature film project "Shill" in development with executive producer Mac Chakaveh CEO New World Films and CEO Marbella International Film Festival. Disclaimer: The views, opinions and positions expressed within this guest article are those of the author Paul Grimshaw alone and do not represent those of the Marbella Marbella website. The accuracy, completeness and validity of any statements made within this article are not guaranteed. We accept no liability for any errors, omissions or representations. The copyright of this content belongs to Paul Grimshaw and any liability with regards to infringement of intellectual property rights remains with the author. MÚSICA CON ENCANTO PRESENTA VIAJE MUSICAL "LA TRAVIATA EN MÁLAGA"